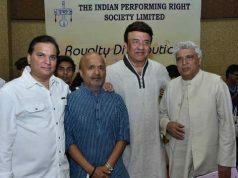 Mumbai: The president of India Fine Arts Council Mr. Haresh Mehta and Vice President Mr. Rajesh Shrivastav Sandip Soparrkar as a new chairman of India Fine Arts Council. 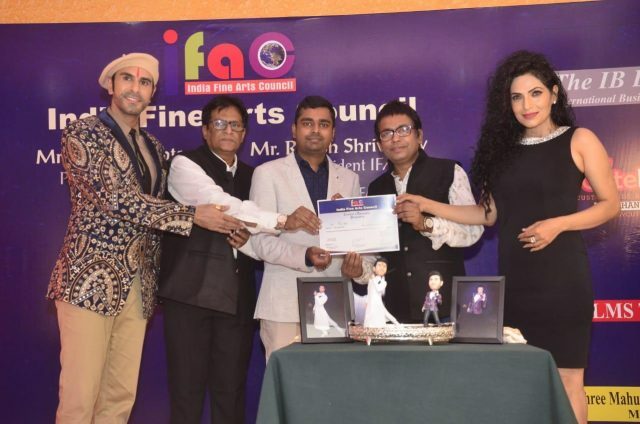 IFAC presented a 3D mini replica doll especially crafted and designed by Chennai based company My Cute Mini headed by Mr Sri Hari to their newly appointed chairman Sandip Soparrkar during the press Conference in Mumbai. Apart from that a bronze hand cast of Mr Soparrkar was also presented to him by IFAC deigned by Mr and Mrs Ronak Jain of Memorobilia.